Trivallis, a registered social landlord based in Rhondda Cynon Taff, has appointed Michelle Thomas to the role of Director of Development and Regeneration. Michelle joins the organisation with over thirty years’ experience in social housing and brings with her extensive knowledge of the sector from her work in local government and other housing associations. 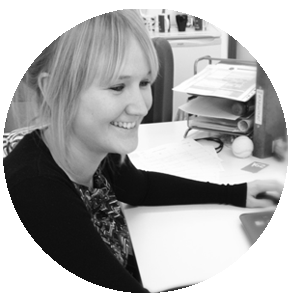 She joins Trivallis from her previous role as Director of her own development consultancy, Riverside, based in the South of England. “I’m absolutely delighted to have been announced as the new Director of Development and Regeneration at Trivallis. While at Riverside, Michelle worked with numerous housing associations including Stonewater and Greensquare. Before this, she was Head of Development at Merlin Housing, a similar large scale voluntary transfer (LSVT) organisation to Trivallis, in terms of its customer size. As a specialist in new build development and regeneration, Michelle has worked on a number of high profile projects; most recently leading on a £35 million pound scheme to bring 145 affordable homes to a former factory site in Sussex and delivering a project to deliver 48 new homes on two Southampton City Council owned sites. “We are very pleased to be welcoming Michelle to Trivallis. Not only does her appointment fill a vital seat in our Executive Leadership Team but her experience and vision for how we can regenerate the area is really exciting. Trivallis is currently working towards developing a new vision and strategic priorities following the appointment of Michelle as well as new Board members including Jonathan Huish who is taking up the role of Chair. The new vision aims to put the customer right at the heart of everything Trivallis does and will look at ways in which Michelle’s role can help influence regeneration in the area.